The Park Royal is reinventing your idea of the perfect Caribbean vacation, too. 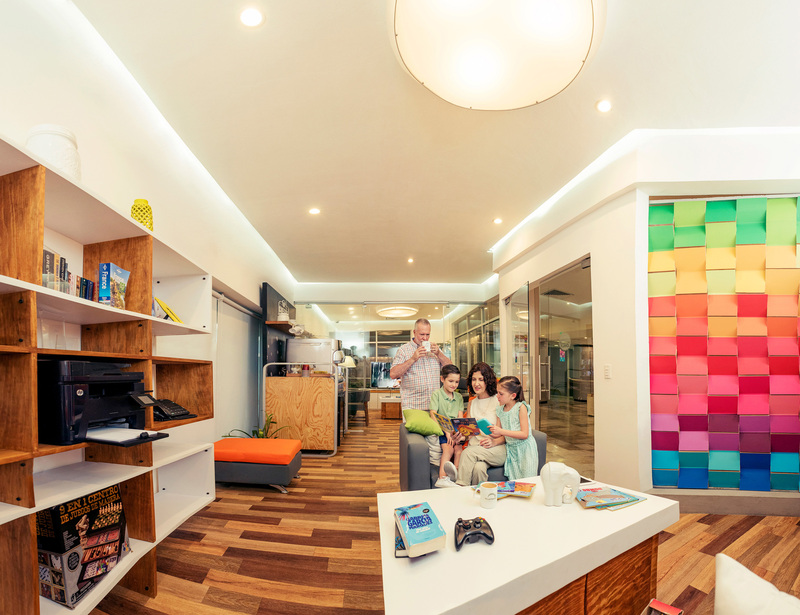 The Park Royal Beach Resorts are all about family fun, beach, and sun. They’re about time off, time away, down-time, and rest and relaxation. 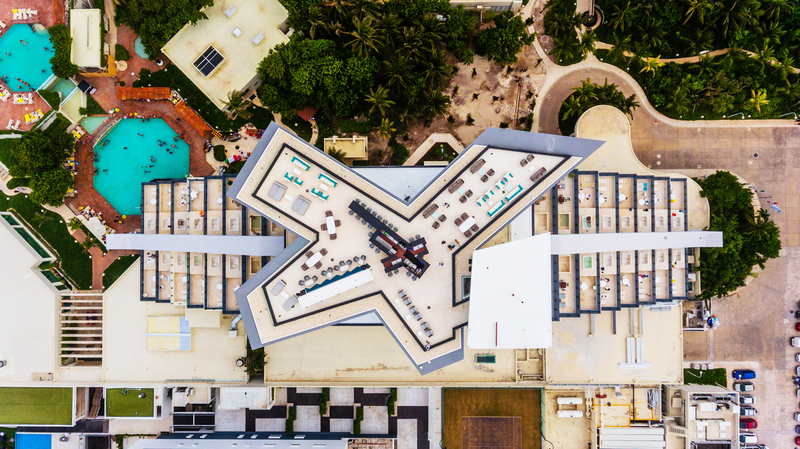 So, there’s no big surprise that the Park Royal Cancun should turn another corner and meet you, (at the airport if you like), with another ten big surprises for how your vacation ought to go this year. 1. 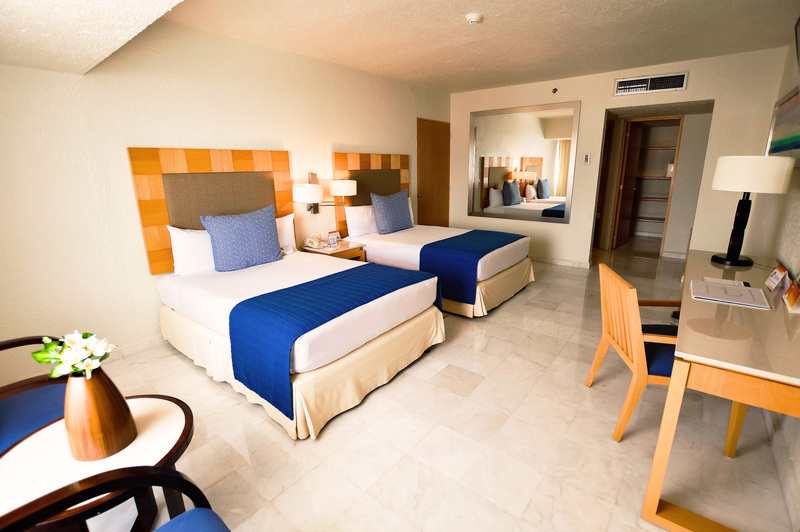 Perhaps the one true home-base for Royal Holiday vacationers, the Park Royal Beach Resort Cancún is (SURPRISE!) number one because so many Royal Holiday Vacationers come back for more. More repeat vacations happen here than anywhere else in the entire portfolio of places you can vacation with Royal Holiday! 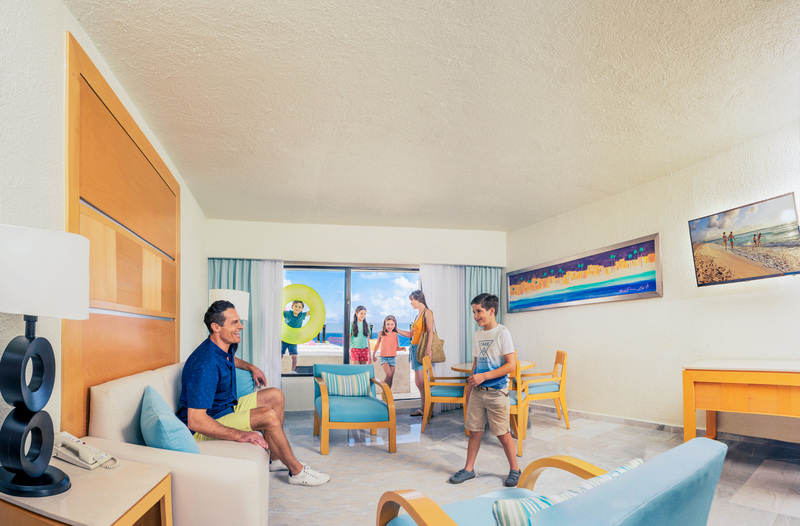 In fact, the Park Royal Cancún is where more members come back, even year after year. It’s the kind of resort people never forget, and many consider it the perfect alternative to a vacation home. You read that right. Royal Holiday vacationers come because it’s less expensive than a lake house or a condo! And the value is just that much more. For doing it every year, this is the place. 2. For all that, it was a pleasure this past year to re-launch the Royal Holiday Member’s Center just off the lobby. It’s completely renovated, a lot more comfortable, and you’ll meet the staff you know, plus other members like yourself when you drop in. 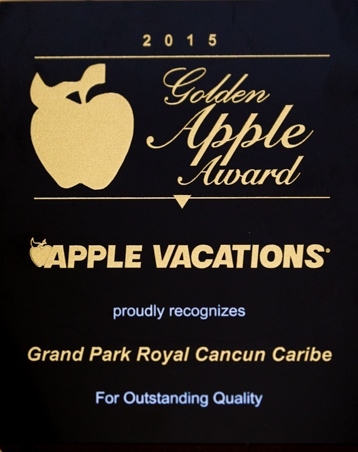 If you’re considering making the Park Royal Cancun into your regular, year-after-year vacation haunt, then this is the place to do it. 3. Always a family resort, grown-ups finally needed a place to escape. 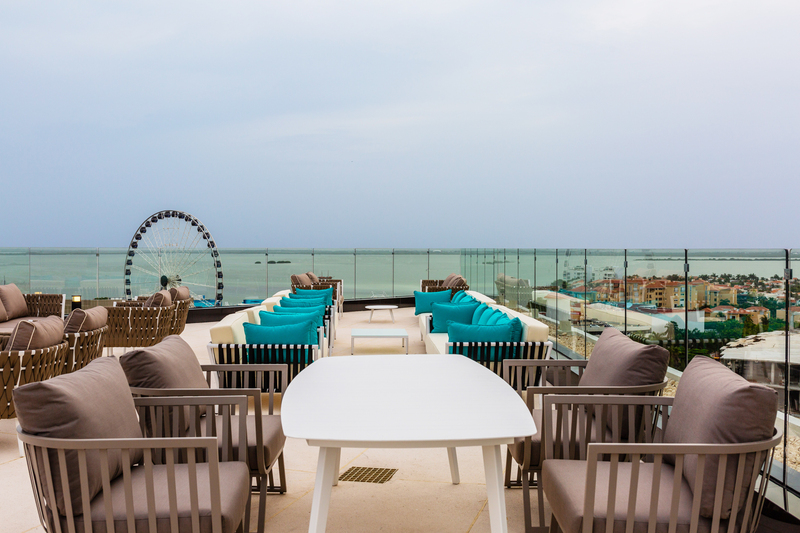 The EKINOX lounge just opened on the 10th floor of the Luna Pyramid building and you get outstanding views in both directions – of the Caribbean and the Nichupté Lagoon. And no kids are allowed. It’s a classy addition, borrowed in concept from the sister resort, the Grand Park Royal Luxury Resort Cancun, just up the street. 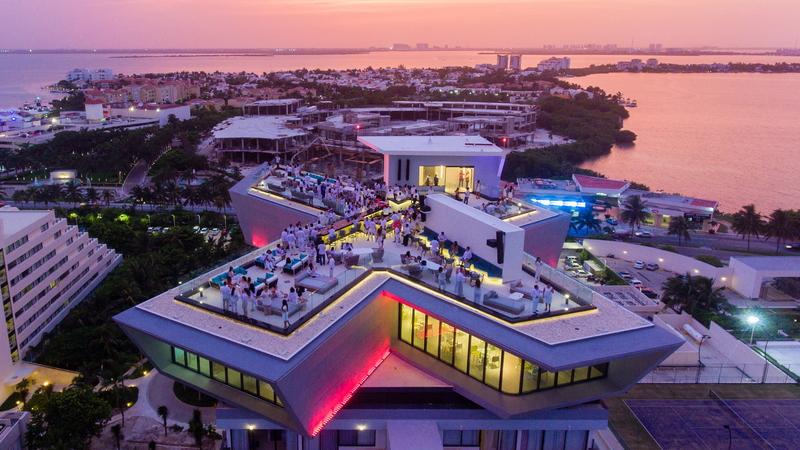 But this EKINOX is maybe even more beautiful, and for those sunsets over the lagoon, there’s now no better place in Cancun. 4. How’d they do that? Two more floors with no less than 25 Deluxe Guest Rooms were opened in the past year. One way or another, it means you’ve got much better chances of booking the original dates you ask for, when you ask for them. Because stays at the Park Royal are ALWAYS in demand, things can get backed up. That’s part of the reason resort staff always recommend that visitors coming during lower-demand seasons. For now, a little of that pressure is off. 5. Lots of other guest room have also been completely remodeled – most of them in fact – and that means that no matter when you are planning on staying, chances are you’ll get a very nice room to call your own for the length of your stay. 6. How about this – a new seafood restaurant: El Pescador. Boasting magnificent views, just in from the beach, it may be the place that finally, totally breaks your heart. It’s that beautiful. We can’t necessarily help the heartache, but meals will console those determined to see this one through. 7. La Veranda is the mainstay and just about the heart of the resort. (Opinions are split as to whether the common areas around La Langosta swim-up bar may constitute the real heart of the resort.) The buffet opens for breakfast, lunch, and dinner and the outdoor patio serves coffee and refreshments most of the rest of the day when the buffet is switching between meals. For that the lobby area and restrooms are important, and they’re all new, too. 8. Did we mention the elevators are all updated, and faster than ever? Whatever floor you’re on, you’ll be in and out, faster and safer than before. 9. How about Mexican food? 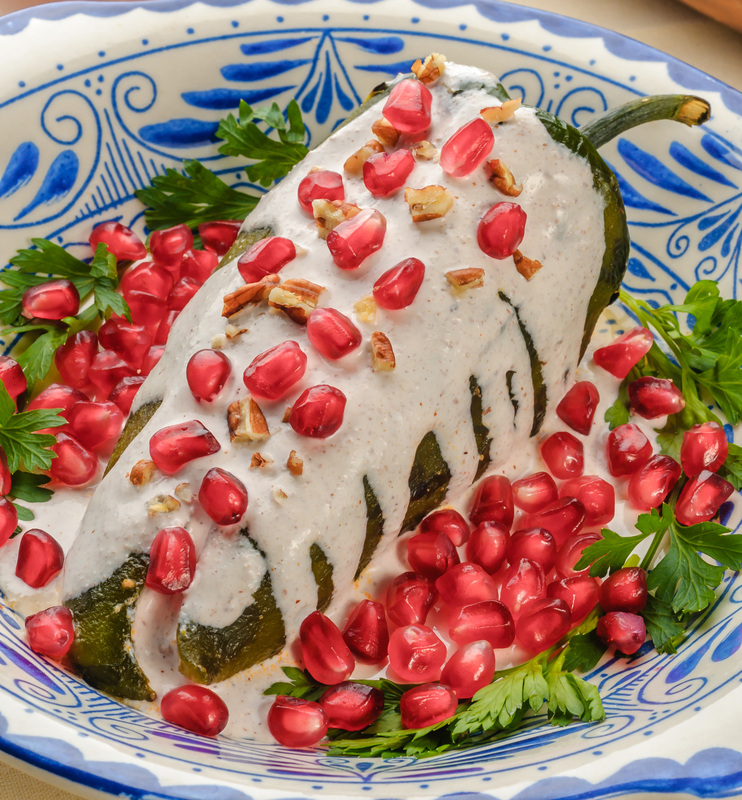 The Frida Mexican Kitchen is a proud and exquisite addition to your list of choices for the evening, and Frida always has something good! 10. 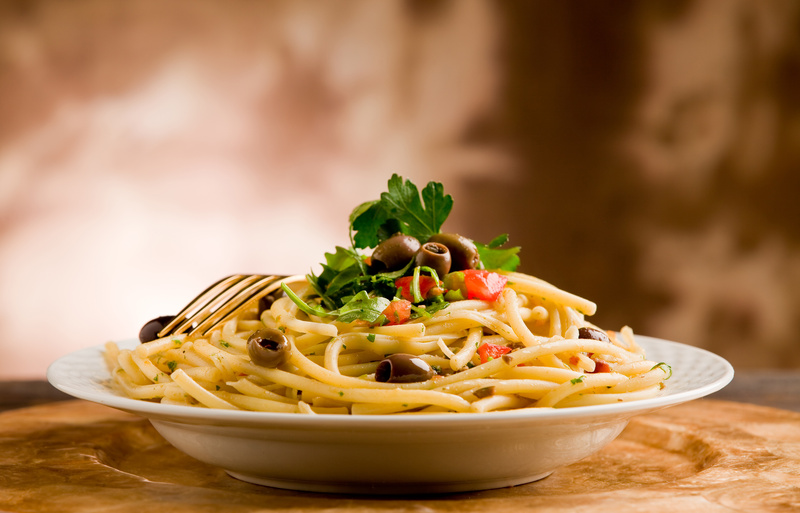 Recently re-named, the Andiamo restaurant has an updated and exquisite menu of nightly Italian dinners, too. 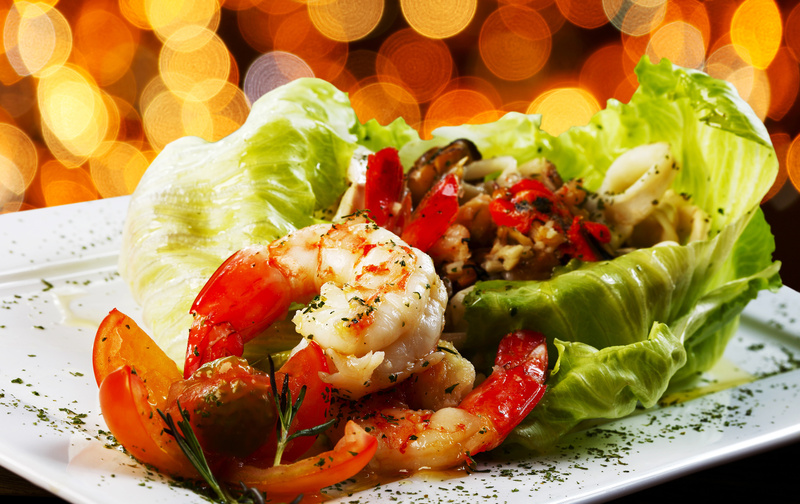 For all-inclusive, you’re never going to get tired of the specials, the specialties, and the outrightly magnificent food on offer. And Andiamo is part of your All-Inclusive, so you get more rest out of one vacation than you might have thought possible. Maybe, just maybe, we’re just getting started. Come back to the Park Royal and you’ll see that nothing is ever quite the same. That includes you, too. Resort staff know. They’ve been welcoming guests back, Royal Holiday vacationers especially, for year after year after year, and every year, they speak of someone who’s changed just enough to appreciate how short is life, and how beautiful a vacation like this one can be! In fact, there are a lot of Royal Holiday vacationers who still can’t be convinced to go anywhere else! 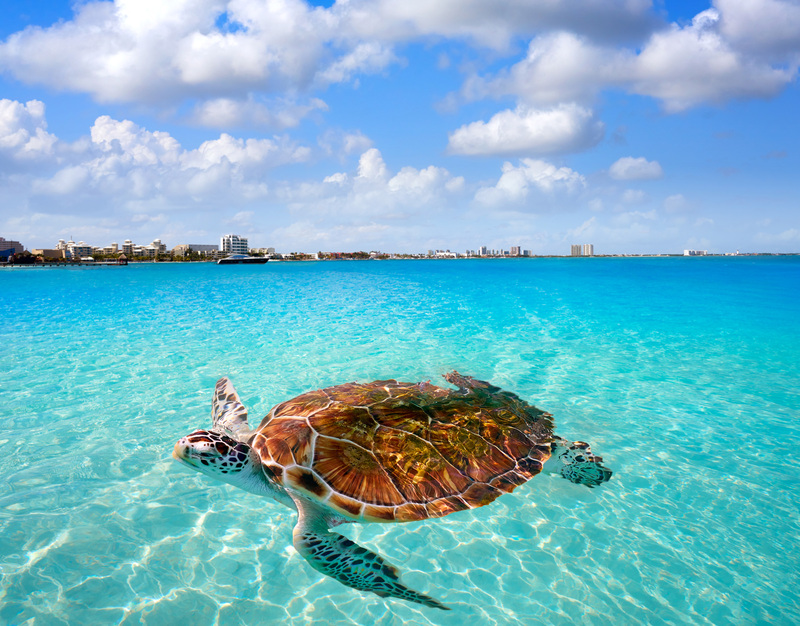 The Park Royal Beach Resort Cancún is all of that, and then some more. Come back and see how much it will be, for you. A time to save. A season to travel!